Shoes weren’t only made for walking – just ask a motorcycle rider. In no time at all, we’ll convince you that shoes were in fact made for riding. 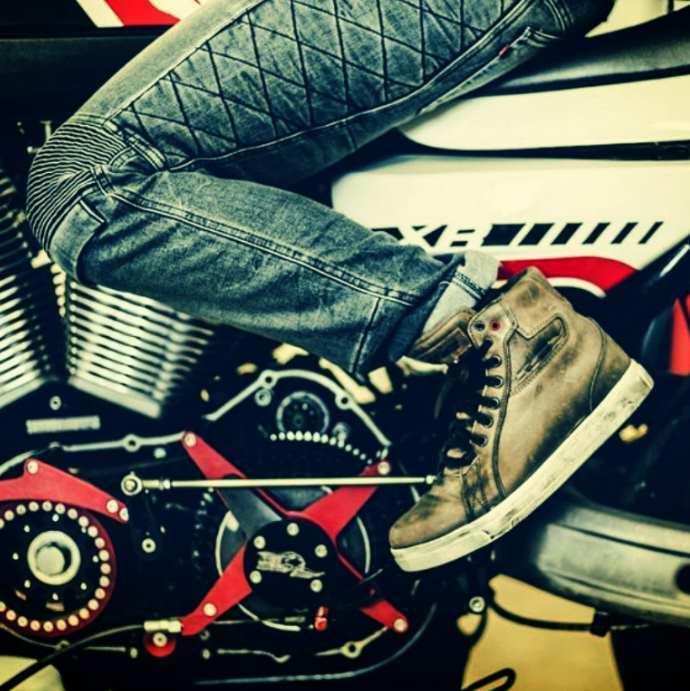 Motorcycle shoes are one of the most versatile accessories a rider can buy. Aside from offering protection for the feet and ankles from exhaust pipes, weather conditions and road debris, they help ensure that your feet are comfortable and offer good traction to grip the road when stabilizing yourself – and naturally, they are the perfect finish to any classic motorcycle rider get-up. Here’s an overview of the best motorcycle shoes that we could find. The perfect casual motorcycle boot – it’s trendy enough for a date yet formal enough for a business meeting when paired with the right outfit. Firstly you need to know there is a difference between motorcycle riding shoes vs boots. If you're already a rider, this probably something that your Mrs. mixes up all the time. Welcome to the wide world of motorcycle boots! As with any sport, footwear for motorcycling is diverse with different shoes crafted to serve different purposes. Motorcycle boots have high standards to attain to: they need to serve as protection during your ride while also acting as a regular shoe or boot once you’ve arrived at your destination. It’s a tough but imperative job to excel at both objectives. 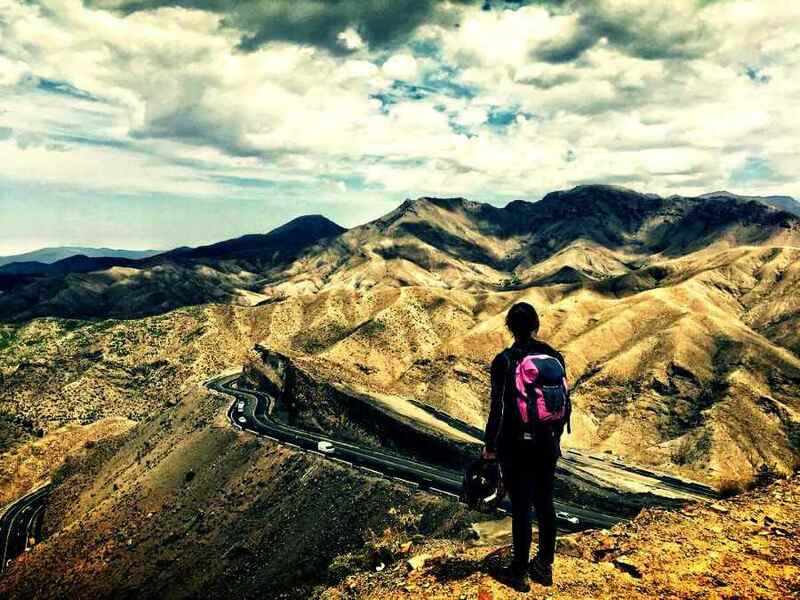 There are countless types of boots available in styles ranging from sport and race boots to touring boots and even casual riding shoes and short boots, motocross boots, cruiser boots, and adventure boots. Knowing the difference between the styles will help you narrow down your search. Sport and race boots are tailored to offer ample protection, durability and extensive grip for adventurous speed demons, while touring boots provide a balance between comfort and protection for riders who brave regular and lengthy commutes. Riding shoes are the perfect casual alternative to your much-loved Chuck Taylors that simply won’t make the cut as motorcycle shoes. Despite their casual and surprisingly trendy appearance, short boots and riding shoes are reinforced with resistant materials to offer support and comfort. Another style of shoes for motorcycle riding includes cruiser and Harley motorcycle boots. Think authentic biker boots in leather with various heights to suit your style and your bike. Cruiser boots have a lot of unseen features including built-in shift pads and toe and shank reinforcements. Adventure and dual sport boots are the all-terrain, anti-slip and mega-tough solution to your off-roading biker dreams – just admit it already, we all have them. 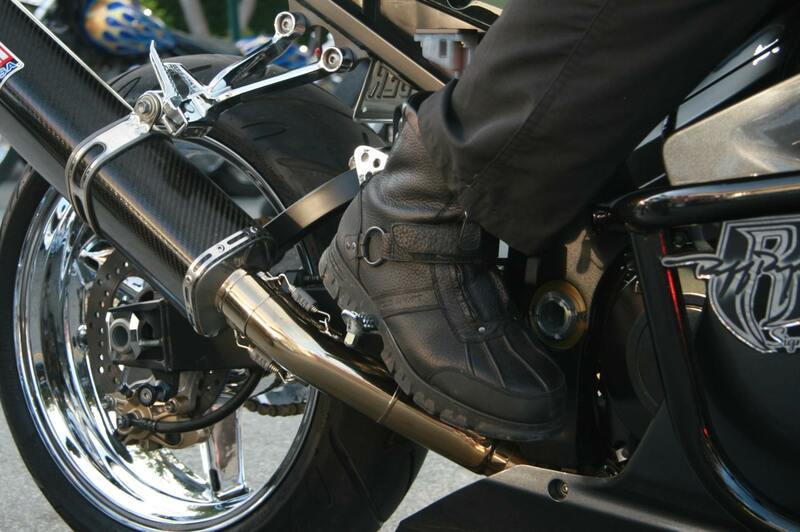 Consider how the various styles of boots above match up with your motorcycle and what you plan to do with it. 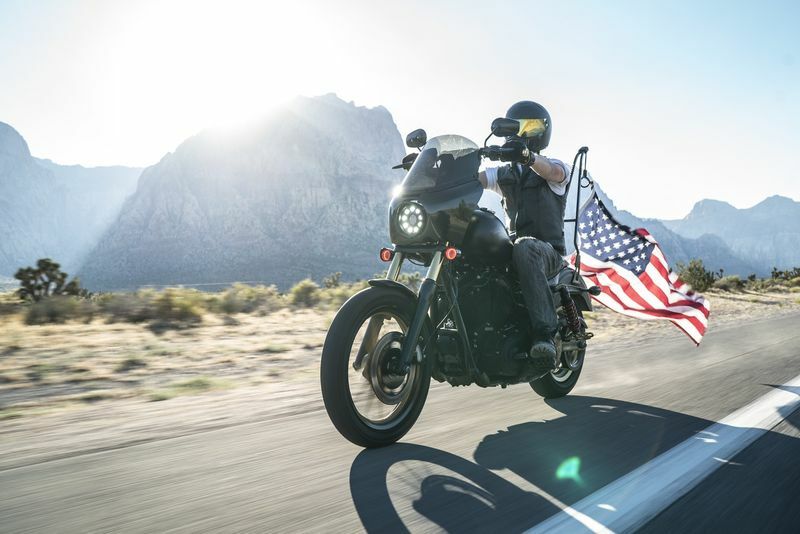 A racing boot is not the ultimate companion for a Sunday morning breakfast run with your Harley and a casual riding shoe is going to severely disappoint and probably harm you if you veer off-road for a wild adventure. Tennis players don’t wear soccer shoes – the same rule applies here! 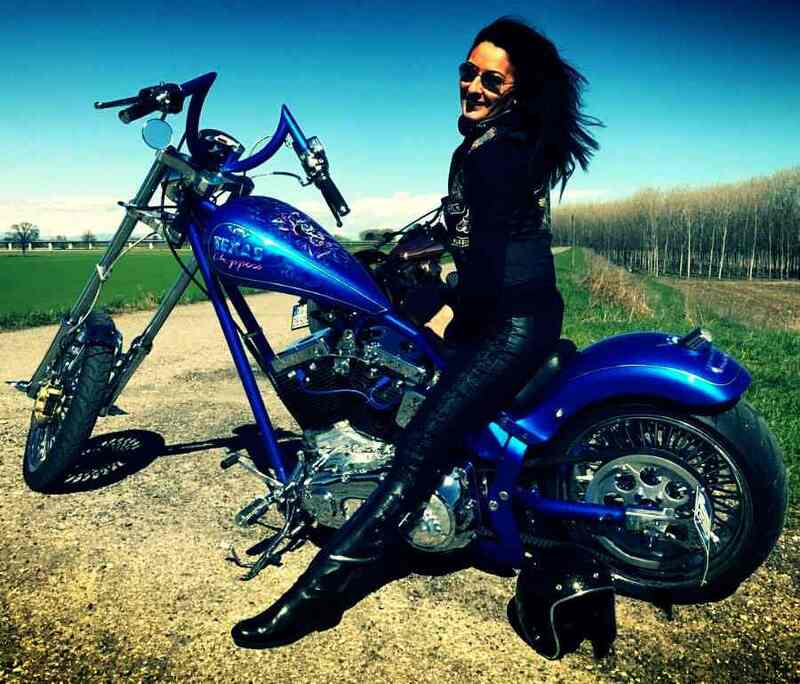 So if you are looking for a Harley Boot, check out our ultimate guide! If you are only needing shoes to ride to work with and not have to change when you are there, you want to go for the lighter models. For longer rides, you want something sturdier with a higher ankle. 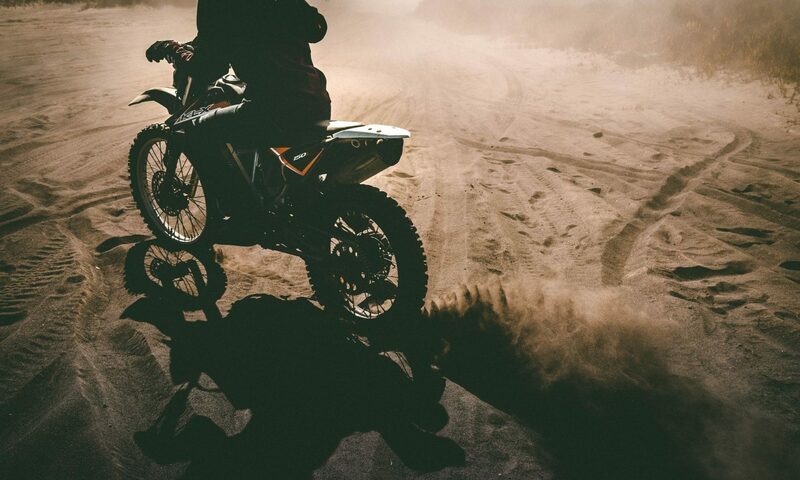 Normal motorcycle riding shoes are strong and offer good protection, but are not going to protect you if you are riding dirt bikes or on a motocross track - you will need a pair of proper motocross boots for that. We’re talking boot height. Again, your ideal boot height will depend on several factors including your own height and preferred style and purpose of riding. Generally, taller boots offer protection from cold and exhaust pipes at fast speeds and are especially important for riders with bikes that have tall shafts. Conversely, shorter motorcycle boots provide comfort for longer daily usage and aren’t designed to withstand extreme speeds and exhaust pipe heat. Regardless of the height, choose a boot that offers high-impact and crush protection for your ankles as they are very vulnerable in crashes. Boots that do not even cover the ankle are not recommended or suitable for riding in any circumstances. 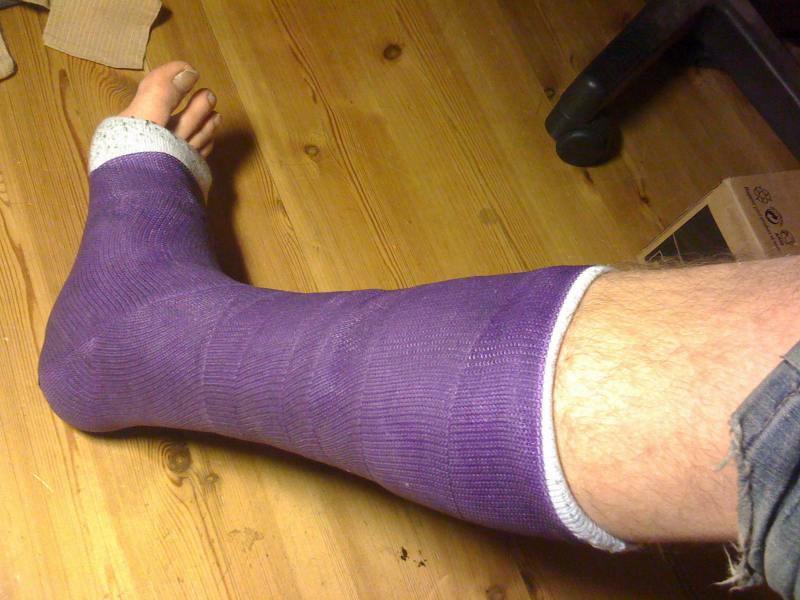 Be sure to keep your ankles protected! Yes, motorcycle riding shoes are expensive. But when you’re exposing your feet, ankles and shins to high speeds and harsh weather for the thrill of riding, every penny is worth it. Don’t skimp on quality – your boots need to be sturdy with a good sole that offers grip against everything from tar and rocks to oil. Unless you like sweaty feet and potential foot fungus cases (please, please tell us this isn’t you!) be sure to consider ventilation and water resistance. The material of your boots can mean the difference between a mediocre pair of shoes and the best footwear for your rides so take time to research the composition of various boots available on the market. There are a lot of variables and extra features to be considered as well: stitched soles that offer better durability than glued ones, heel shock absorbers, different closures including zippers, laces and buckles, insoles, toe sliders … the list is endless. Choosing the best motorcycle shoes is a daunting task but taking the time to consider every aspect will help you narrow down your quest. Here are some suggestions of some boots that we have found do a decent job. These are good everyday boots and perhaps the most affordable pair you can get without compromising on quality and comfort. I had a cheap pair of casual motorcycle shoes once and for the amount of chaffing and blisters I had to endure, I would have gladly paid someone to take them away. That won’t be the case with these boots. A good shine makes it a perfect motorcycle shoe that can be worn to the office. These boots will keep you well decently protected if you get into a sticky situation on the road with their reinforced ankles and sturdy exterior. They are also very comfortable and offers the trifecta of laces, buckle and zipper for a snug fit - the zipper also makes them easy to take on and off. A strong cruiser boot that can be worn for street riding or touring – it gives a nice ride without weighing you down. This boot is a crossover type boot that can be worn for street riding, touring and even as a cruiser boot. It is sturdy enough to wear off-road and yet stylish enough to wear on a regular basis. They are a bit heavy for casual use and although suitable for everyday wear, I wouldn’t wear these during long days at work. These boots are sure to hold up in a crash or road collision. 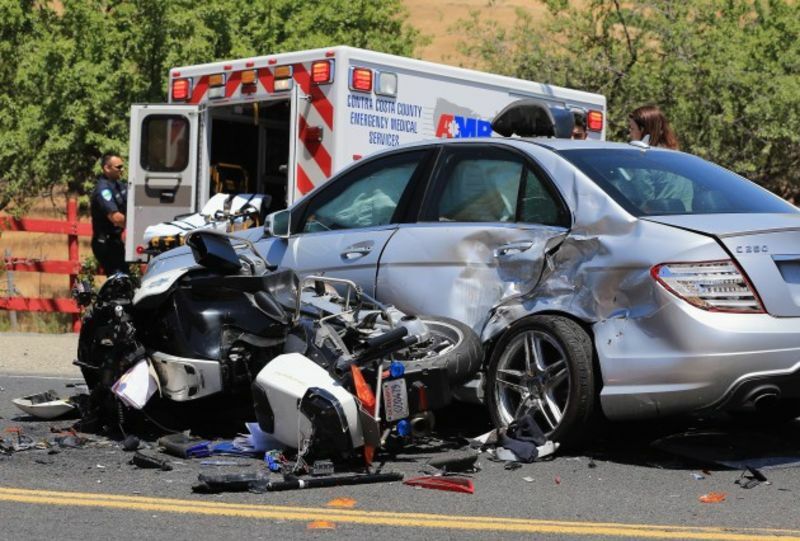 If you’ve ever experienced the harsh reality of road rash, you know how important it is to keep your feet safe on the road. They also have the nice built feature of the motorcycle shoe protector so there's no need to worry about wear and tear. It can be difficult to find a motorcycle shoe that fits very casual situations but this shoe is a perfect choice for a sports day with friends, playing golf or even going to the gym. This is the ultimate casual motorcycle shoe. It’s literally a sneaker that could just as well be for skateboarding, making it a perfect motorcycle sneaker that still has a reinforced heel, toe and ankle. 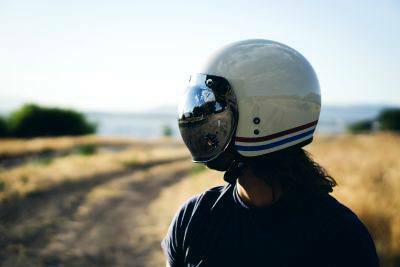 I would suggest these for anyone that’s after a comfortable, light and breezy wear without lacking safety features – it’s the equivalent to a sport sneaker such as Nikes or Converse but adapted for motorcycle riding. This is a refreshing change from typical motorcycle boots that aren’t always suitable for casual and sporting activities. Before I started riding, this was the ultimate motorcycle boot look I always had in mind – a shiny buckle and black leather dripping with cool. This is a more all-terrain boot – it’s a bit too heavy for casual use but if you’re a rough rider these will keep you safe for many rides. Black with a shiny buckle, zip and cool branding, you need this to round off your motorcycle get-up. 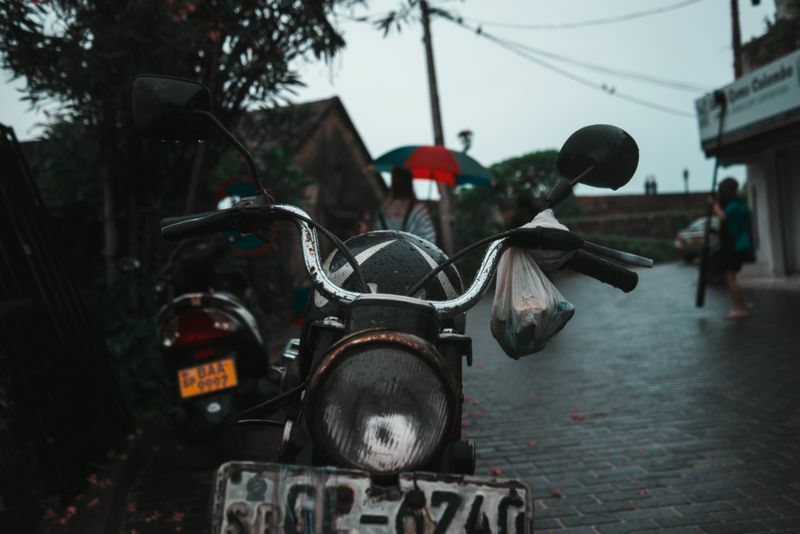 It’s a classic look with great safety features that are suitable for most types of riding and it offers great grip even when wet, so this is a must for anyone living in a place with rainy weather. This is the type of boot that you’ll have with you for a long time and is well worth the investment- it’s heavy duty and your best friend in harsh weather conditions. Longer boots are the essential footwear to guard against heavy exhaust pipes and conditions such as cold weather and harsh winds that you will experience at high speeds. These boots are very sturdy and durable. The leather is stitched to rubber outsoles to prevent splitting and the thick soles have a lug pattern for strength and to offer the best traction. 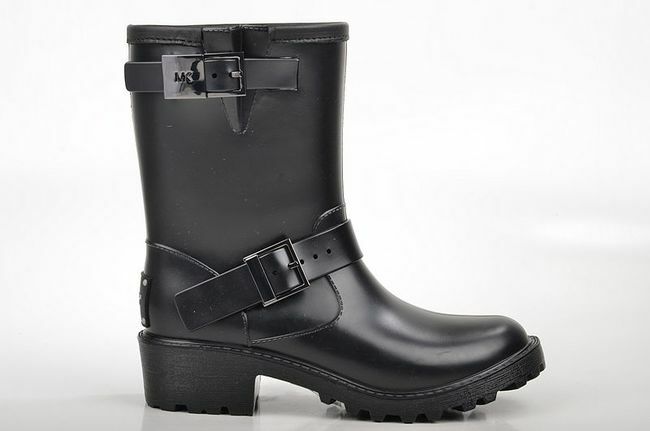 With a 13 inch harness, these boots will keep you safe (and warm)! I’m the type of guy who wants to buy a heavy-duty boot for long-term use – I love the experience of breaking in a pair and keeping them for years. If you do too, this could be the pair for you. They’re a perfect casual choice: sturdy with good grip yet versatile and stylish enough to wear in most situations. There are so many styles available that it can be overwhelming but it’s all part of the fun to try different boots and maybe even start your own collection – you might need a shoe shelf of your own one of these days!